You’ve heard the say­ing: Good enough for gov­ern­ment work. You’ve prob­a­bly even said it a few times. Well, “good enough” might just be the rea­son for this country’s cur­rent state of affairs andyour cur­rent state of affairs. Well, enough of that. That was the cen­tral the­me of Joel Osteen’s mes­sage when he was in Den­ver this sum­mer for A Night of Hope at the Pep­si Cen­ter –Don’t set­tle for good enough. “Good enough” is only a “C” – that’s just aver­age, but God did not put you here to live a “C” life. God has plans for you, and they are “A” plans. You don’t have to scour­er the Bible to find that God wants you to live an abun­dant life. But it’s not going to fall from the sky like man­na, you have to work for it and not set­tle for “C” or get too com­fort­able with “C.” (Inter­est­ing how com­fort starts with a C.) That’s a quick syn­op­sis of Osteen’s mes­sage. Osteen cit­ed the sto­ry of Abram and how his father, Ter­ah, stopped short of the land of Canaan and set­tled in Haran. (Gen­e­sis 11:31) Ter­ah set­tled for com­fort. He did not want to keep on going to the promised land. He was tired. He had lots of ani­mals and fam­i­ly to keep mov­ing. God had great plans for Abram’s father, but Ter­ah set­tled for a “C,” because it was too hard to keep striv­ing for what God had in store for him. What was promised to Ter­ah went to his son Abram, because Abram kept striv­ing for that “A” life. Many of us have set­tled for a “C” and “good enough.” Osteen wants to set a fire to your pas­sion by encour­ag­ing you to strive for great­ness, not just aver­age. “God has plant­ed seeds of great­ness in us. He cre­at­ed us to excel … to suc­ceed in life,” Osteen said. It’s time to change your atti­tude and take on this mot­to: I’ve let good enough be good enough long enough. Osteen cit­ed Deuteron­o­my 1:6: “You have stayed long enough on this moun­tain.” It’s time to pull up stakes and head toward your promise land. Start dream­ing again, start striv­ing… God has it all fig­ured out. He will make a way where you don’t see a way. He will con­nect you with the right peo­ple. He will open doors for you. “God didn’t give up on your dreams, just because you did. Get in agree­ment with God,” Osteen said. Do the nat­u­ral, and God will do the super­nat­u­ral. Do what you can, and God will do what you can­not. But– and it’s a big but – you have to get out of your own way. If you think you will nev­er over­come that addic­tion, or meet the right per­son, or gained that big pro­mo­tion, you will nev­er suc­ceed. It’s what Joyce Mey­er calls “stink­in’ think­in’.” If you don’t think you will be suc­cess­ful, you will get stuck where you are. Get rid of that neg­a­tive men­tal­i­ty and make room in your think­ing for God’s promise. God has an “A” in store for you if you don’t set­tle for a “C.” And don’t get com­fort­able with a “B” life either, just image what God has in store in you strive for his promis­es. 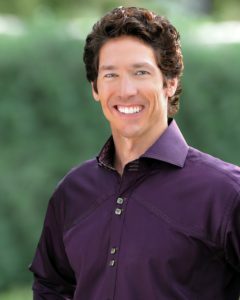 You can watch Osteen’s June 24 mes­sage from this Lake­wood Church in Hous­ton on his web­site. A Night of Hope also includes music min­istry, a mes­sage from Osteen’s wife, Vic­to­ria, and his moth­er, who has over­come can­cer. This entry was posted in chat, Concerts, News and tagged Abram, average, bible, colorado, denver, denver post, eliza marie somers, Genesis, higher note, higher note blog, Houston, Joel Osteen, Lakewood Church, Night of Hope, Pepsi Center, summer, Texas, Victoria Osteen. Bookmark the permalink. A nice sum­ma­ry of their presentation.…..probably had some great music, too! There’s some­thing in this post that I must dis­agree with. God had plans for Abra­ham. Abra­ham was told to “Go”, and he did. Ter­ah went along for the walk.